This is a living page: new fleet concepts and background will be added this page as they are finalized. Nadvidia share its longest border with the northern ice cap of the world of GRAVETIDES where over the centuries its inhabitants have developed a civilization that despite its thriving development, due to the harsh climate conditions of that region has remained confined to the two sprawling cities of Nadvoid and Vidian that occupied most of the coastal rim of the realm with large ports that were at the time both commercially and military among the most important of the whole world. The invasion of the Defiler did not spare Nadvidia as the land and sea fauna begin to change and the rising of the sea waters gradually submerged its cities pushing them further and further towards the northern and colder region of the realm were its sorcerers discovered the ability to magically manipulate ice and frost, with a darker side devoted to the conservation of life after death through the freezing of the physical bodies of the deceased. As the nature of magic changed forever due to the presence of the Defiler, the creation of frost undead was more and more successful, culminating with the advent of the Necroreges and the turning of Nadvidia into one of the necrorealms of Gravetides. The Frost Liches cast a permanent incantation on their realm to keep its whole territory and everything it includes at subzero temperature, protecting it from the ever growing heat of the sun and to keep its undead inhabitants in permanent existence. 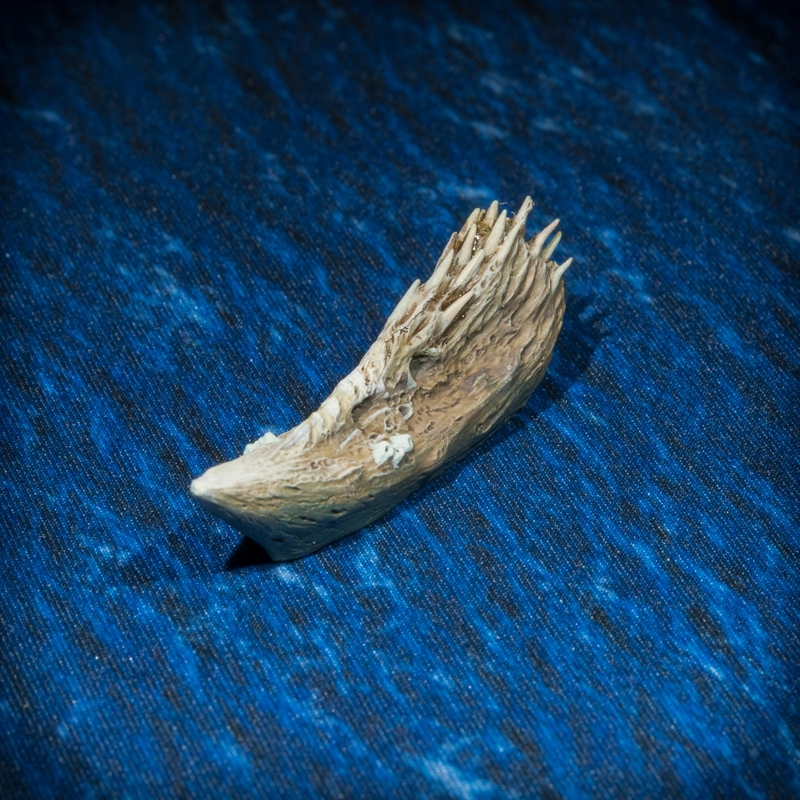 “The Frostbite” as it is universally referred by Nadvidians, has saved the realm from extinction with the adverse effect of having seemly stopped it in time with every artifact and construction not made out of ice turning derelict and decaying with the past of the centuries. The Frostbite imbues all individuals and artifacts of the necrorealm even when they are away from its territory, making Nadvidian undead horrifically frost encrusted corpses whose cold breath is always visible despite them being non living and the surrounding temperature is not chilling. The armors, hand weapons and shields of the Frost Dead warriors even if looking like rusty remains are equally influenced by The Frostbite making them as robust as steel and in some cases capable of freezing instantly anything they touches, giving the warriors of Nadvidia an often decisive edge in battle. 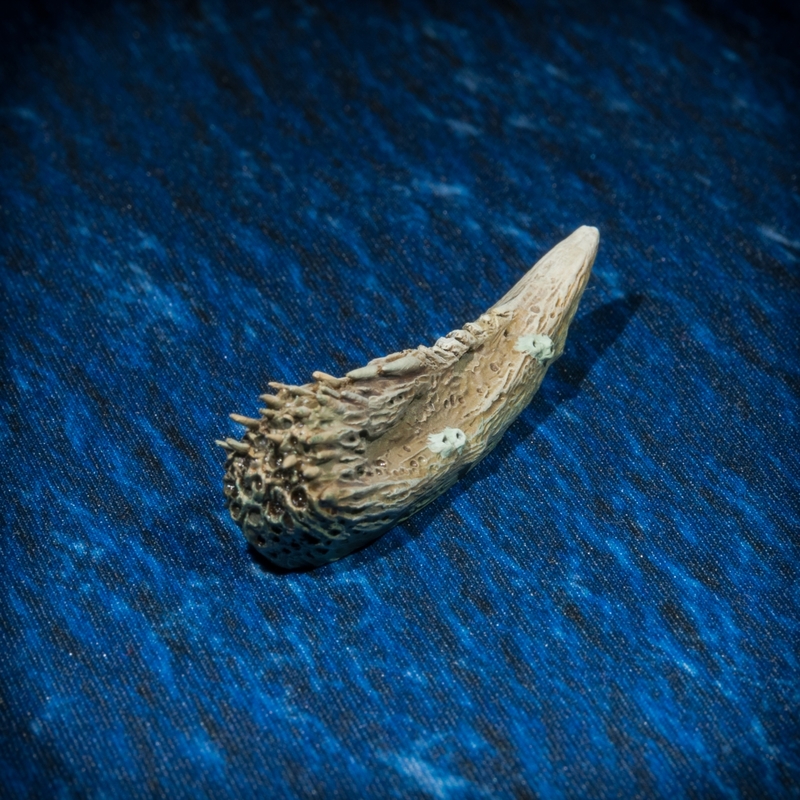 Such a powerful spell requires for its continuous functioning large amounts of Ambergris with the Nadvidian fleet continuously roaming the seas in search of this rare magical material. 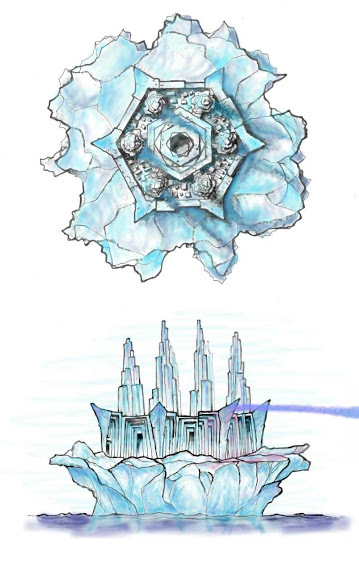 Along the coasts of frozen realm dominated by the Ice Necroreges, the Glacier Fortresses are a common sight serving both as observation points and first line of defense against enemy war fleets reaching from the sea. When the Frost Dead warships emerge from the coastal ice caves in which they wait to be called to arms, the Glacier Fortress, moved by magical energies, detaches itself from the frozen seaboard ready to lead the Navidian fleet into battle. The Fortress is unlike any other common warship, appearing as a huge iceberg surmounted by a bastioned construction with a central dome surrounded by twisted high spires. 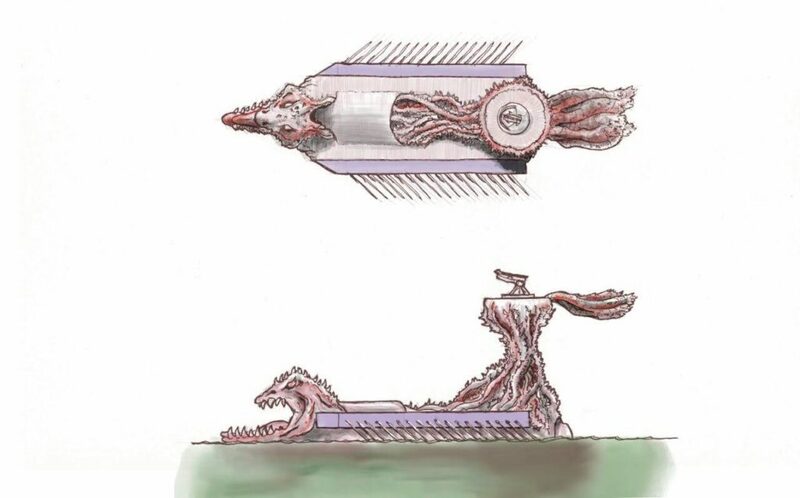 Spikes protruding from the bastions can project magical cold rays used to directly strike at enemy ships or to create floating masses of frozen water that can impair the movement and obstruct the line of sight of opposing fleet vessels. Even if the structure of the Fortress is relatively fragile it is almost impossible to sink it as most of its monumental mass is actually underwater and its cold ray weapons can be used to replenish its bulk as pieces are torn away or destroyed, keeping it floating even after taking a great deal of punishment from enemy fire. 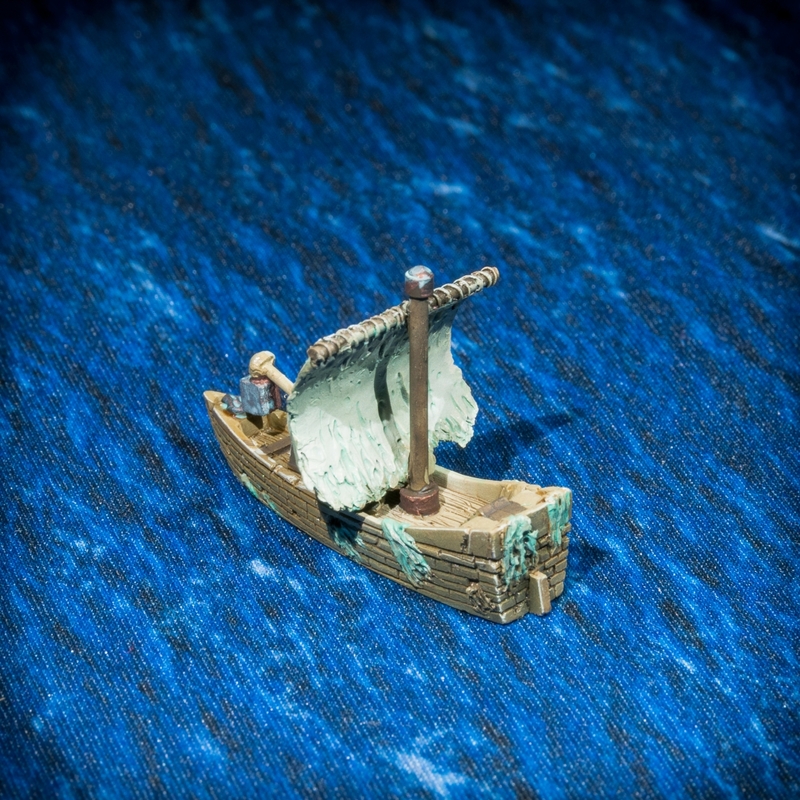 When a Fortress moves near enough to an enemy vessels it may initiate boarding actions using its weapons to create frozen bridges on which the warriors lurking in the depths of its belly can easily cross the sea waters to engage their foes. The hardened ice forming these planks ensnares the assaulted vessels in a frozen grip making almost impossible for them the escape from their ultimate fate. The vampires that call themselves the Blood Sycophants due to utter devotion to the vital fluid that sustain their undeath, were once an ancestry of warrior lords descendants of tribal chiefs who struggled violently among each other for centuries before being united as fiefdoms under a single realm by the patriarch of the current Red King of the Vampire Realm. Notorious for their cruelty even before turning into vampires, a change that has only exacerbated this trait, the Blood Sycophants have continued to worship sadistic gods of war and dominance and to practice slavery until present time, unable to shun off these darker parts of their barbaric past that have become integral parts of their feudal society. Donning gowned black leathery armors from whose belts hang vicious hooks, twisted blades and the rotting remains of the bodies of their enemies, Blood Sycophants carry in battle bizarrely barbed swords and pole arms whose shapes are distinctive of each vampire fiefdoms. Impervious to pain and capable of fast regeneration the vampire overlords embellish their bodies with convoluted scars and with self inflicted wounds that they consider aesthetically pleasing body garnishments. The embedding of hooks, nails and most frequently of viciously thorned metal wires in different body parts, especially the face or the head, is also very common, a practice that only adds to the Blood Sycophants resemblance to horrifically maimed corpses. Sycophant sorcerers have conceived their manipulation of magical energies around their obsessions, creating spells whose offensive power is directly related to the amount of pain inflicted and blood spilled from innocent victims. 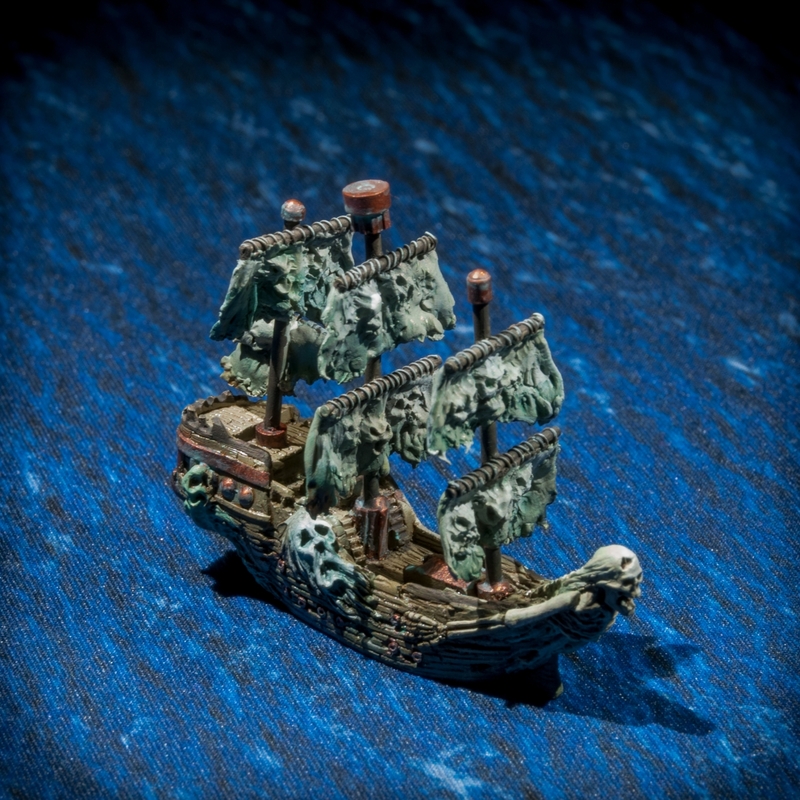 The vampires disdain for ranged combat and their overtly aggressive nature is also reflected by the warship of the Sycophant fleet, built to maximize the effectiveness of boarding action where the lacking of shooting weapons is made even by the use of Blood Magic fueled by the sufferings of slaves and prisoners. Even in subjugation the fate of a warship oarsman is better than the one of other Red Realm slaves as rowers are considered by their Sycophant masters an essential war assets and as such kept well fed and used as mere food only in desperate situations. Only the healthiest and strongest slaves are hand-picked to row on an Admiral flagship with the ones destined to lesser vessels considering that fate a privilege. Thorns Cathedrals are the greatest warship of the Red Realms fleet, massive oared monstrosity build to board even the most powerful of enemy vessels. These massive vessels are the epitome of vampires aggressive and slaughterous nature, dark and brooding vessels with their entire body covered with vicious barbed spines. 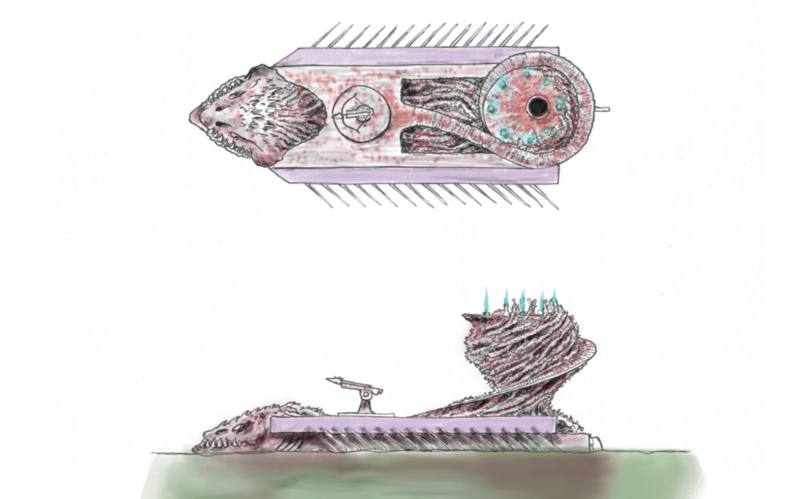 On the other side of the warship sits a monumental construction covered with spines from where the fleet Admiral and its coven of Blood Sorcerers command the entire fleet. A long stair, sustained by thorned branches, descends from its highest place directly to the boarding bridge to allow the officers of the Thorns Cathedral to be the first to board the enemy ship ensnared in its claws. Also known as ‘The Aggressor’, the main deck of this warship carries a small army of lesser vampire soldiers and flesh eating zombies under their control, ready to storm the bridges of enemy vessels in ferocious boarding actions. Dense swarms of vampire bats fly incessantly around the Cathedral waiting to join the vampires in their bloody assaults. The ranged offensive power of the Thorns Cathedral is rounded by side batteries of medium range ballistas that even not as powerful as broadside cannons can seriously damage enemy vessels causing considerable losses to their crew. The huge size of the Thorn Cathedral make it impractical in boarding smaller ships, a role that in the Blood Sycophant fleets is fulfilled by the Tormentors warships that in small engagements may even assume the role of Admiral ships. 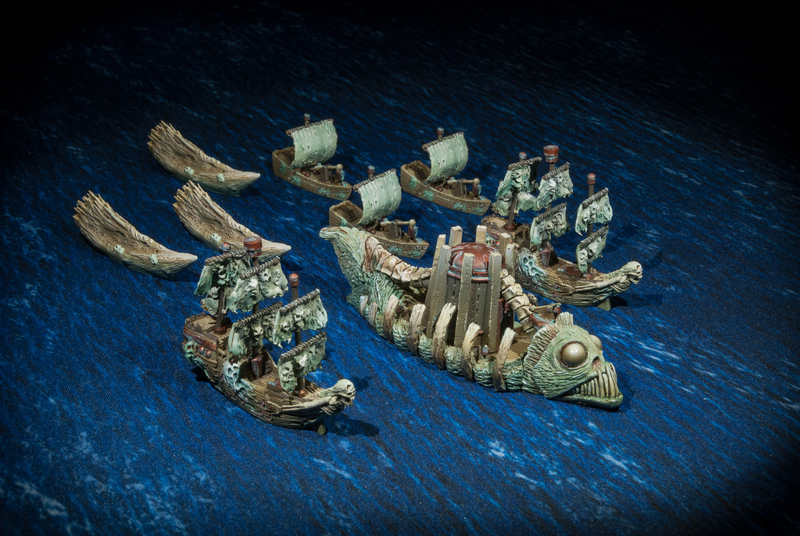 These fast triremes attack by ramming into enemy vessels after decimating their crews firing deadly barbed bolts from aft castle mounted ballistas. Giant rabid rats accompany the host of vampire soldiers aboard swarming through their ranks as they strike in violent boarding actions. From the top of the aft tower flutters the Shunned Ensign, a magical banner sewn with the skins of tortured prisoners acting as a memento of the ultimate fate that awaits the enemies of the Red Realms. 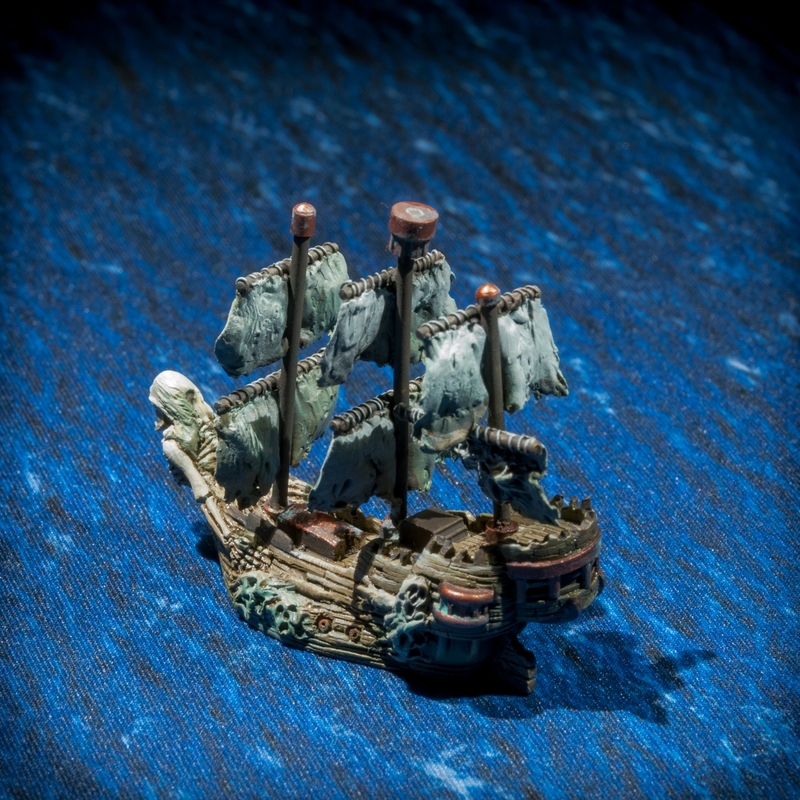 Smaller and faster than the Tormentors, this warship is equipped with a huge harpax, a modified ballista that can shoot a grappling bolt to enemy ships that once hooked can be easily dragged in contact with the Oppressor to be boarded by the vampire warriors on board and by their hideous minions. Even if devoid of ranged weapons a small cabal of sorcerers hosted on board of the Oppressor can cast offensive Blood Magic spells fueled by the agony of enemy prisoners held into the twisted cage that form the aft castle of the warship. 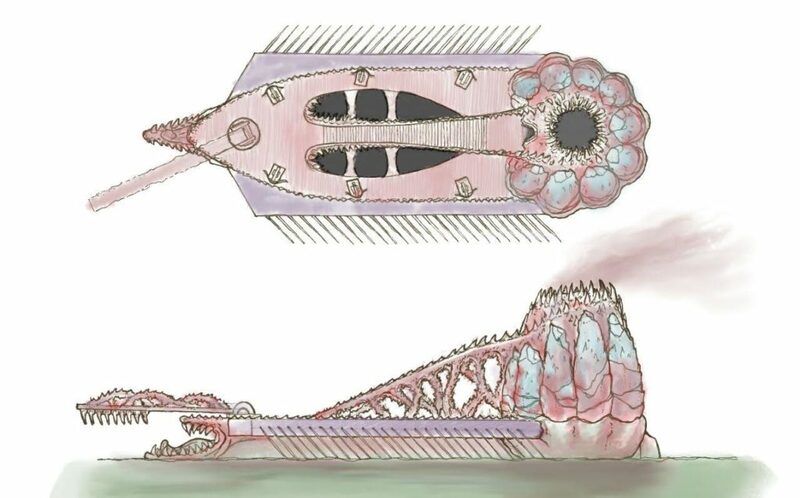 Somehow similar in shape to a comb or a fat cocoon, the cage is formed by a whirling vortex of thorned branches that seem to emerge from the deep of the ship’s hull. To reach the top of the cage, where a sacrificial altar surrounded by torture implements awaits to aid them in the casting of their horrific magic, blood sorcerers ritually ascend a curved stair that spirals around it, sustained by the same spiny stalks that form its structure. Once the sorcerers has reached their casting ground, prisoners are lead from the depth of their prison through trapdoors to their final destination, where once strapped to crude crosses or constrained into cramped enclosures are doomed to spill their blood and lose their souls to the greater glory of the Sycophant victory. Born from a dense tangle of thorns the Persecutor, too small to host a rowing crew, is moved by a large triangular sail and armed with bow and stern heavy ballistas, enhanced version of this missile weapons that employ steel coils forged by the most skilled slaves and capable of hurling at high speed huge viciously barbed bolts that in some cases may even cause extensive damage to the hull of enemy vessels. 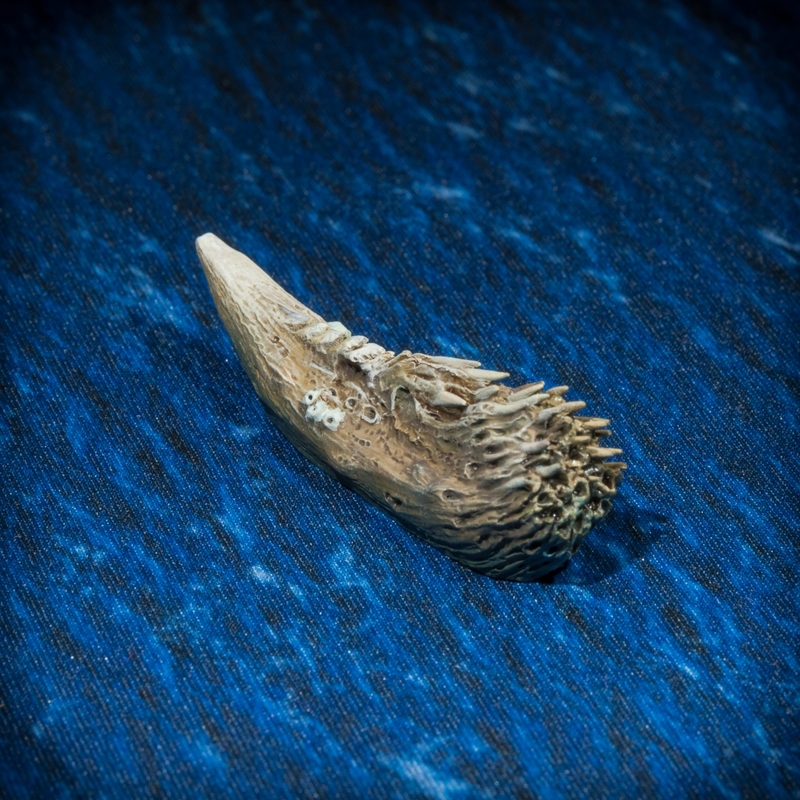 Most frequently one or more squadrons of Persecutors accompany in battle a Thorn Cathedral to strike enemy vessels in anticipation of the slaughtering brought by the close combat assault of the vampire warriors of the admiral vessels. The crews assaulted by these lethal war ships can only relay in their reaction on the slow recharging rate of the ballistas, hoping that the strain on the winches that charge the metal coils that propel the missiles will finally break the arm of the weapons disabling them for the rest of the battle. The first of the territories of GRAVETIDES to react to the spread of The Defiler turning itself into a Necrorealm, Kavenid takes its name from the ancient dynasty of merchants that centuries ago created their domain annexing a plethora of small trading city-states to their rule leveraging their superior wealth and mercantile skills. Starting from this first seed the boundaries of Kavenid expanded fast as its armies always distinguished themselves for their superior equipment and training. The reges of Kavenid always used magic at their advantage both in business and in war, two activities that they had always approached using the same methods. 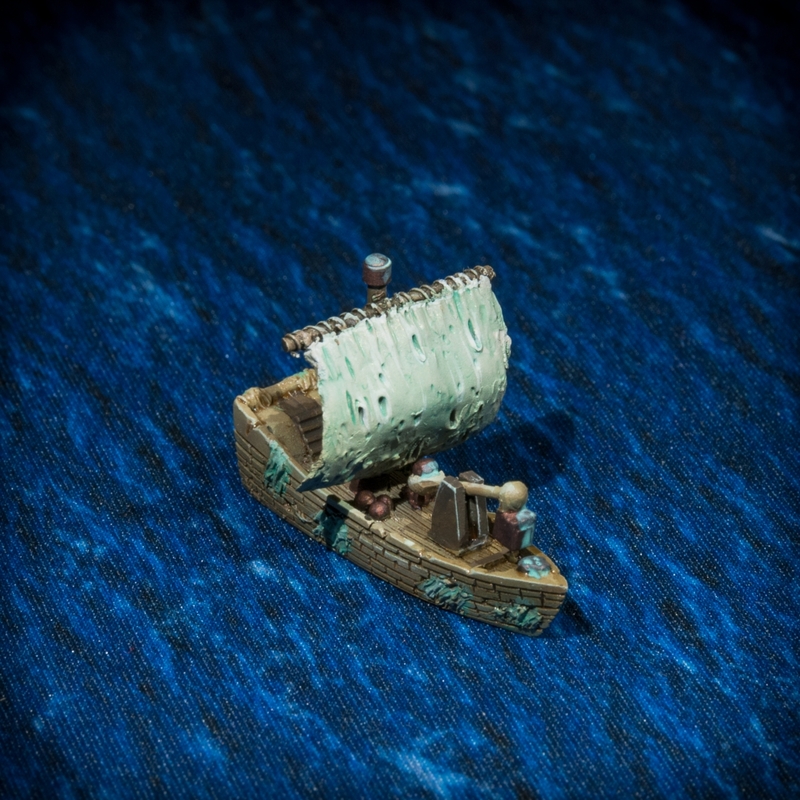 The economy of Kavenid was stricken hard by the consequences of the rise of the seas level as its ports and coastal cities were forever lost after being overran by water. When The Defiler started spreading into Kavenid both modifying the nature of its inhabitants and physically invading with their deformed armies, the realm even if finding itself at its weakest was anyway capable of withstanding the pressure of the forces of the invader, while the Kavenidish sorcerers feverishly researched an effective way of counterattack. But when the truth behind the nature of The Defiler became clear, the sorcerers realized that the only way of escape was undeath, a twisted form of existence that seemed to be immune to the spreading of the magical parasite. The first to be turned were the officers and the soldiers of the Kavenidish armies, followed by the members of the royal family who became the very first Lich Necroreges of GRAVETIDES. The newly created army was finally capable of fending off the Defiler forces as the very presence of the undead troops seems to weaken the invader combatants. Kavenidish necromancers are now renown for their power, especially expressed by their necroshaping spells capable to remold dead matter into the form desired by the sorcerer. 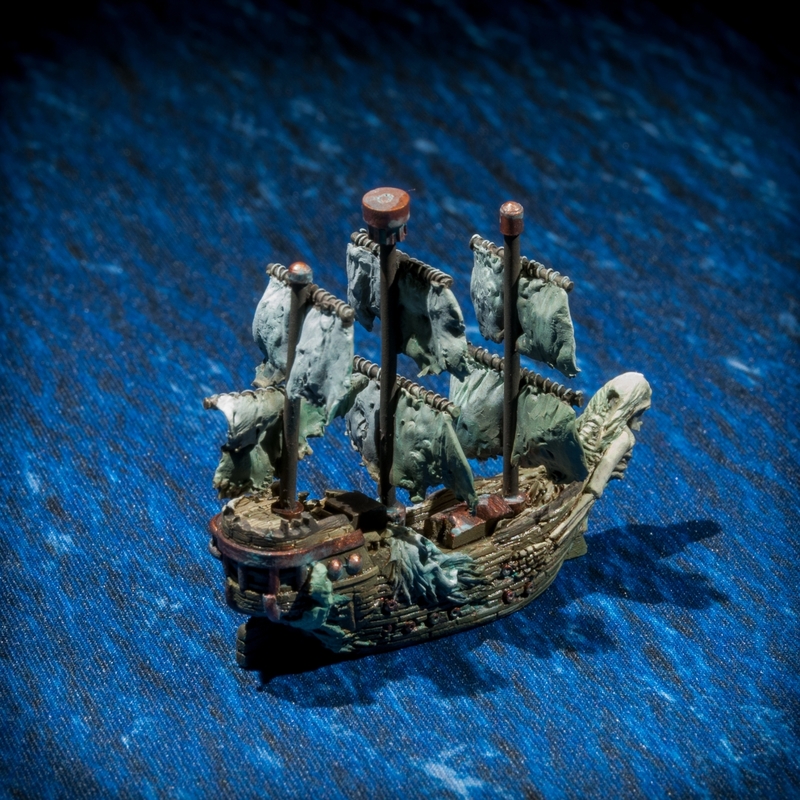 These magical capabilities are reflected by the presence in their war fleet of ones among the most strange and disquieting vessel in whole GRAVETIDES, like the imposing Drifting Mausoleum, the decaying Corpseship and the bizarre Bonerammer. In the endless wars among the Necrorealms winning factions are sometimes able, after destroying its physical body, to take hold of a powerful Lich’s phylactery, the magical item (be it a gem, an inscribed scroll, or some other bizarre object) which contains the essential life force of the undead sorcerer. 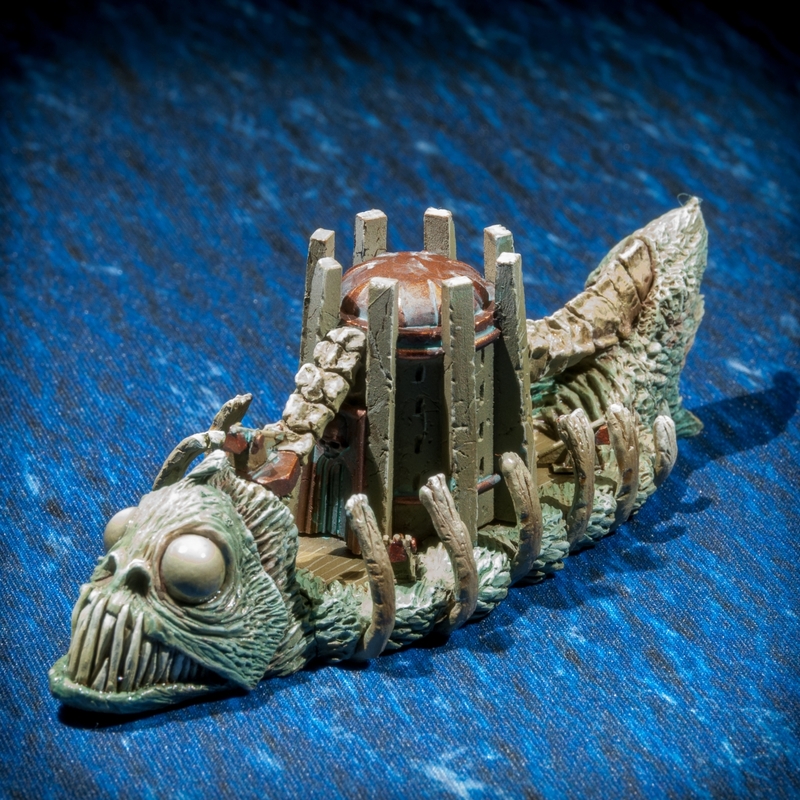 Normally phylacteries are destroyed in order to obliterate the Lich from the existence but Necroreges may decide to keep them in order to create a Drifting Mausoleum, the greatest of the undead battle ships. 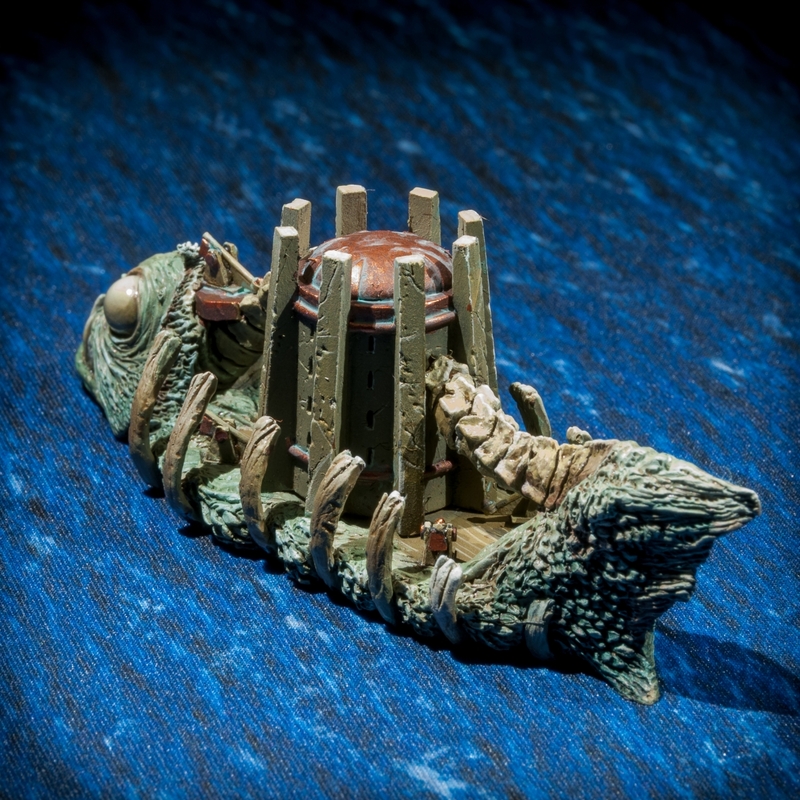 Drifting Mausoleum are a daunting and terrifying sight: constructed from the carcass of a giant abyssal fish or of some other marine creature, they bring into battle an imposing mausoleum that hosts, guarded by a circle of necromancers, the phylactery of a mighty Lich whose magical energy is channeled by sorcerers to fuel the ship movement and create the foggy miasma that permanently surrounds the warship. These obnoxious fumes can impede normal breathing, making boarding action against the Mausoleum arduous for non undead enemy crews. It has been told that who dies boarding the Mausoleum is immediately turned into a new undead crewman perpetually bounded to serve on this horrific ship. Giant catapults are placed on the bow and on both sides of the ship granting it a remarkable firepower. The magical power exuded by the battleship is often used by the sorcerers on board on the Drifting Mausoleum to control one or more Corpseships that accompany the Mausoleum in battle. The combined attack of the Mausoleum and the spectral ships can be devastating, even if inflicting enough damage on the battleship can interfere or utterly dispel the control of the Corpseships. 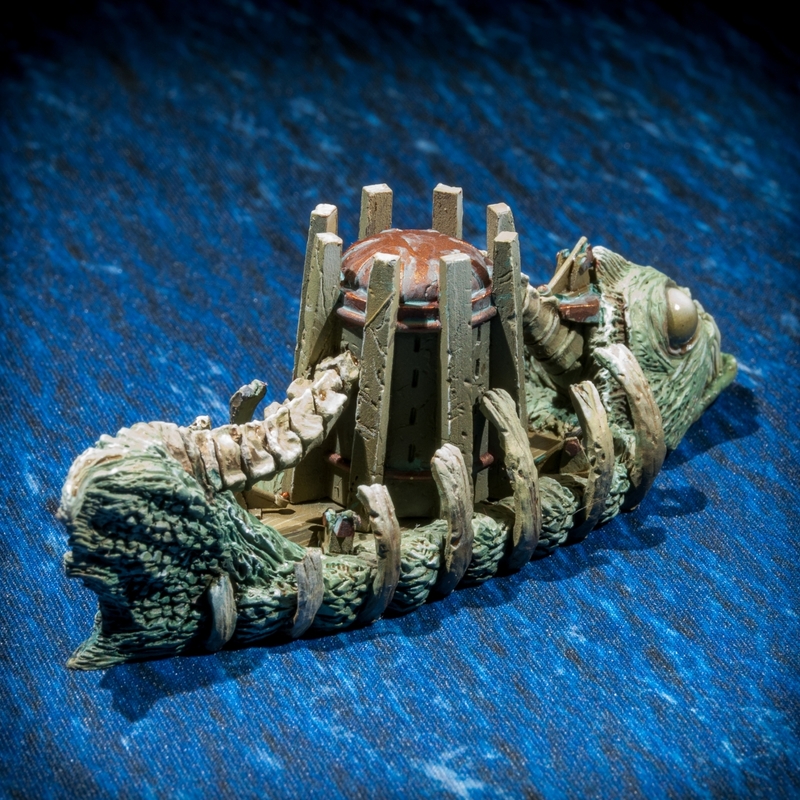 Due to the almost uniqueness of phylacteries it is unknown how many Drifting Mausoleums are actually in existence: having a Drifting Mausoleum disabled, or worse, sunk, can speak utter defeat to undead fleets as replacing this warship may be an almost impossible task. These peculiar form of necromantic constructs are raised by powerful Dreadspells from the depths of waters once theatre of naval battles. 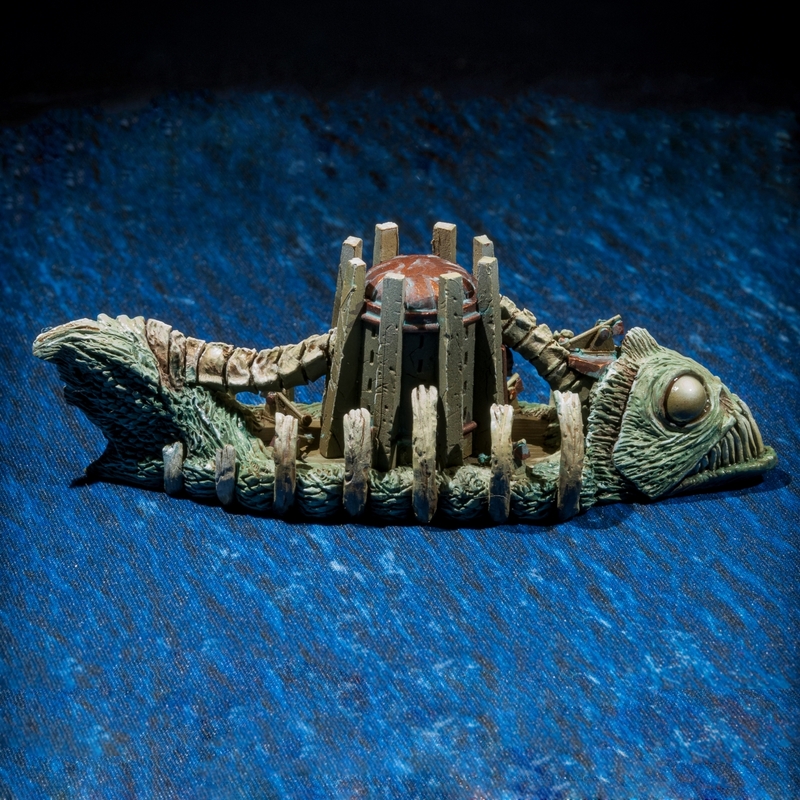 Corpsehips appear as vessel-shaped conglomerates of remains, wreckage or even whole parts of sunken warships kept together by the souls of their crews, bounded by the necromantic spells to their once craft of membership. Even if fueled by the wind, their large shredded sails, made from the very ghostly essence of the souls of long dead crews, do not fill even in the strongest of gales, giving their movement an eerie quality that add to the disquieting look of these warships. 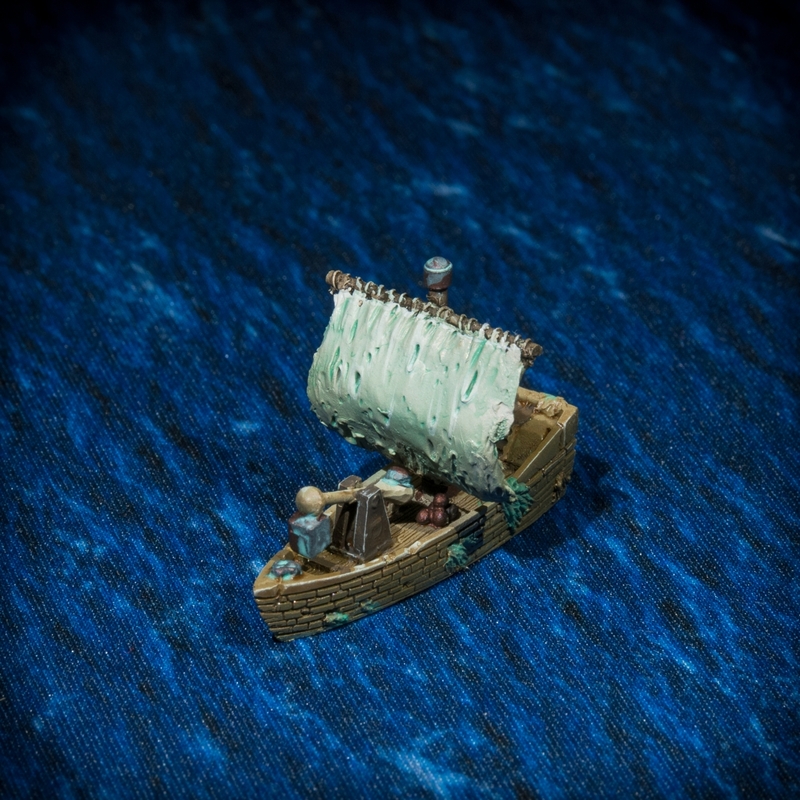 The tortured forms of these once fierce warriors and sailors are still visible among the debris composing the Corpseship, as a low and continuous wailing coming from the vessel itself accompanies its slow but relentless slipping on the water. The rotten and rusty cannons of Corpseships can fire magical spheres of ectoplasmatic matter mixed to random wood and metal detritus, capable of passing across enemy ships, ignoring even the thickest of armor. 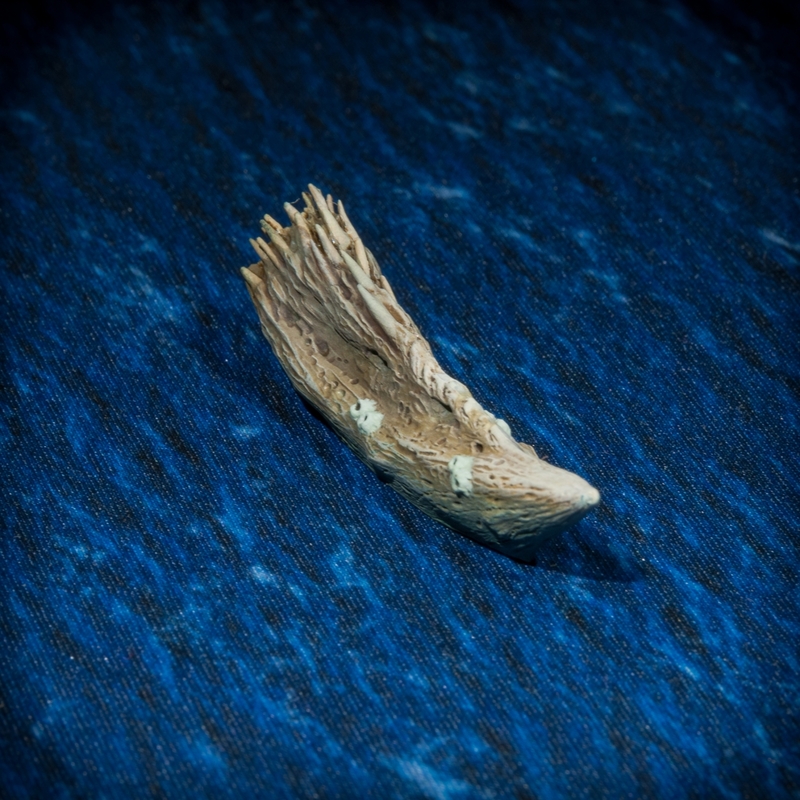 These floating carcasses may seem to be frail and prone to crumble, but they are instead capable of suffering a considerable amount of physical punishment: on the other hand, magical attacks, and especially undeath dispels, can utterly destroy the vessel, making it to crumble into a floating carpet of wreckage. Corpsehips squadrons are often bonded to a single Drifting Mausoleum, making possible combined attacks with the , but at the risk that the squadron will be automatically dispelled if the Mausoleum is somehow destroyed by the enemy. 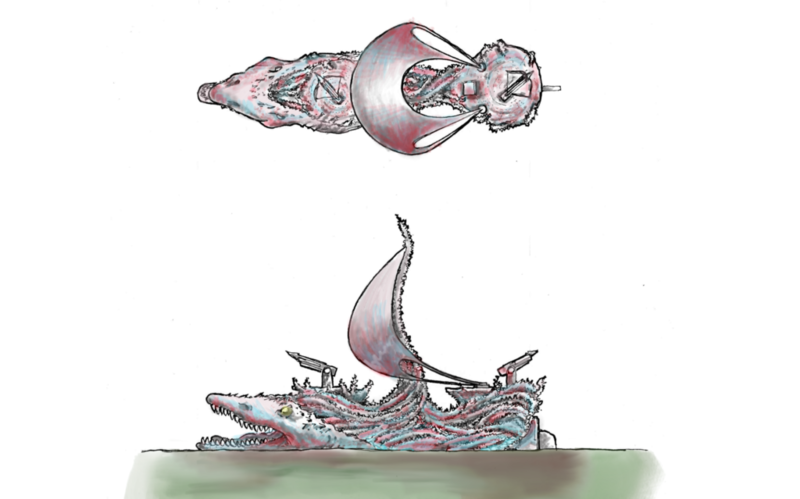 Bonerammers are strange and organic looking warships similar floating shells from some twisted marine mollusk or coral, created molding immense piles of dead bones through the use of necroshaping spells into vessel form. These slick and agile warships has their most prominent feature is their bow ram that appears as a physical continuation of the hull itself. 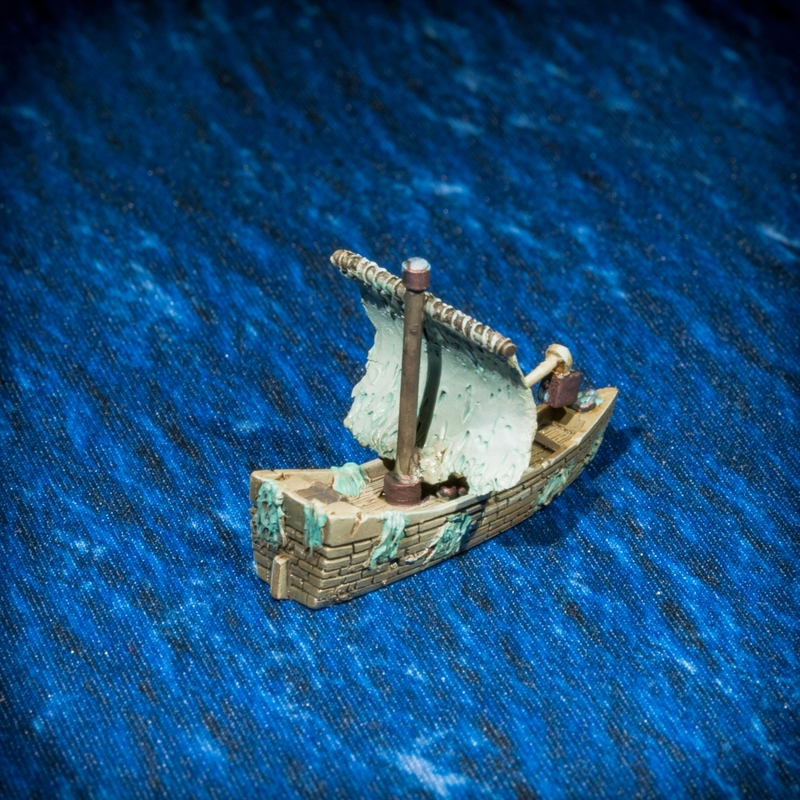 Bonerammers are infused with magical energy that while allowing the ships, lacking sails, to move on the battle seascape can also be channeled through their ram adding to the already devastating damage it can normally cause when hitting enemy vessels. When a Bonerammer is near enough to a DriftiBonerammerng Mausoleum, it is capable of channeling its magical energy, making it able to do even more ramming damage or to project a crackling flux of destruction that can hit enemy vessel from a distance. The amount of energy Bonerammers absorbed from the Mausoleum cannot be controlled by the necromancers on board of the warship and it can consequently cause a powerful spontaneous discharge that can hit nearby allied ships or the Bonerammer itself. The most conventional of all undead battleships, Dreadships are relatively small sailed and maneuverable vessels mounting a single catapult of their front. They appear as decadent and decaying ships, and are usually deployed in squadrons acting as fire support for larger and less maneuverable warships: the massive shape of the Drifting Mausoulem is frequently preceded surrounded by a small swarm of Dreadships. 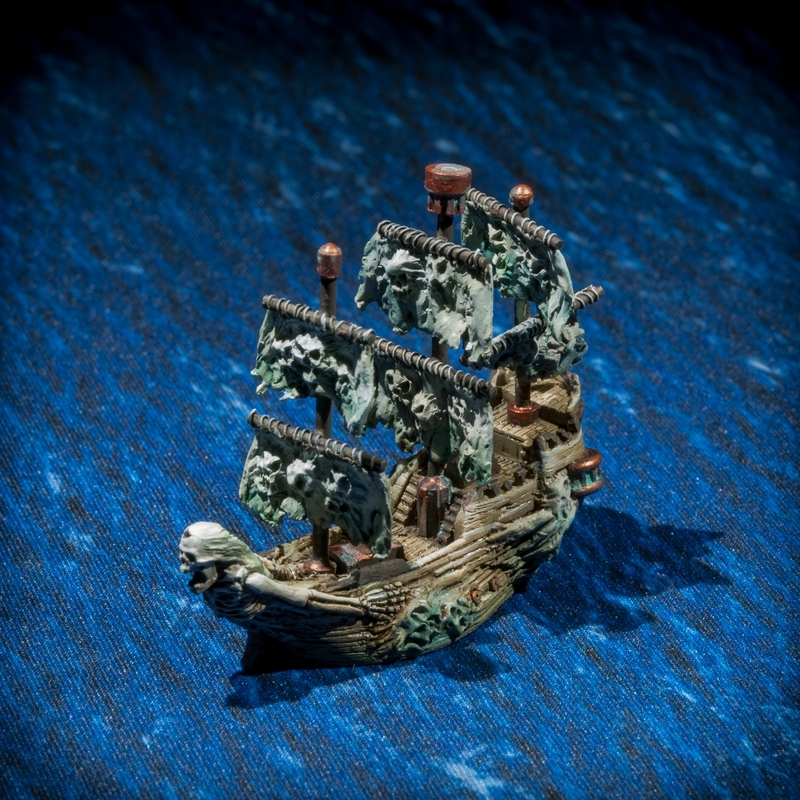 Dreadship are usually crewed almost only by zombies, led by necromancer acolytes or simple apprentices: the death of those sorceress may cause those lowly undead minions to repeat mindlessly their tasks, without following any real battle tactics, and in the worst case to run amok attacking the living members of the crew.